We understand that clients are looking for getting services that are worth their money and time. Rely on us for the best mini track loader hire in Gold Coast and Brisbane to carry out challenging tasks. Mini Track Loader is an essential piece of equipment needed for light, civil, and heavy construction excavations, landscaping or any sort of digging jobs. Our machine plays a vital role in meeting the present generation excavation needs. staff are competent of digging, soil shifting, clearing, leveling, soil preparations, shaping, and other truck loading procedures. Over these years we have established ourselves as one of the best in the industry ensuring first-rate services to our customers. Mini excavators and tipper trucks bring absolute precision to our excavation jobs. 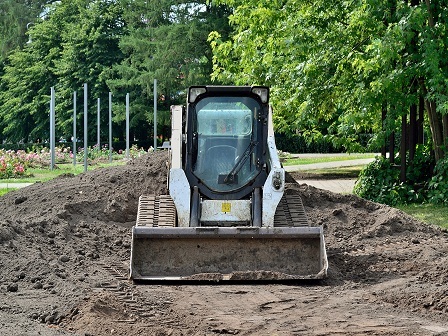 On the other hand, mini track loader hire with us involves an extensive range of operations that makes residential and commercial project monitoring rapid and dynamic. The related operations comprise detailed excavation activities including leveling, foundation and footings, pool excavation and post hole boring, stormwater trenching and sewer retention pit management, Rock and concrete breaking, Rubble drain trenching solutions, specialized landscape profiling and contour working and several others. Our property engineering tools are also perfect for fencing, leveling, retaining walls, garden clean up, and all other associated earthworks. Mini track loader hire from our organization in Gold Coast and Brisbane ensures cutting edge technology and skilled professionals to provide unmatched excavation, earthmoving, and concrete services. We are known to provide reliable and convenient services thereby becoming the foremost choice for the clients. We are fully insured and licensed contractors offering right machines as per the client requirements. Our solutions are cost effective and hiring from us guarantee job completion within minimum time catered in the right proportion.